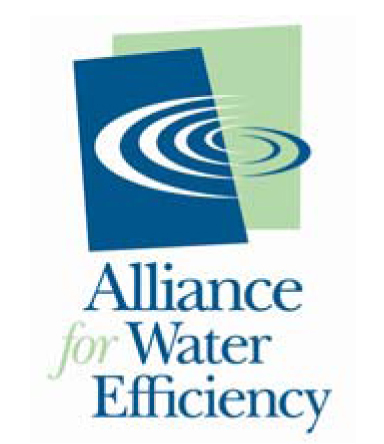 Reducing Water Consumption in Existing Buildings | Waterless Co Inc. There are a number of ways that owners and managers of existing facilities can reduce water consumption, become more water efficient and sustainable, lower operating expenses, and even earn points toward LEED certification. Since restrooms are typically one of the biggest water using areas of a facility, many of these changes will be achieved simply through switching from water-guzzling bathroom fixtures to those that use water much more efficiently or no water at all. Before the 1950s, toilets typically used seven gallons of water or more for each flush. By the end of the 1960s, toilets were designed to flush with only 5.5 gallons, and by the 1980s, new toilets were using only 3.5 gallons. Today, as many people know, toilet systems installed after 1992 must use no more than 1.6 gallons of water per flush. However, what many people do not realize is that there are hundreds of thousands of old toilets still in use in homes, schools, medical facilities, and office buildings around the country. A 2005 study found that half of all the toilets found in U.S. homes use 3.5 gallons of water per flush or more. · Install “low-flow” or high efficiency toilets, which use about 1.3 gallons of water per flush. · Consider pressure-assisted toilet technology, which use one gallon of water or less per flush. These kinds of fixtures are now used in many Las Vegas hotels. · Dual-flush toilets, which allow users to select a light flush (0.9 gallons per flush) or a heavy one (1.6 gallons per flush) depending on the type of waste present. These innovative toilet systems do more than reduce water usage--depending on where and how often they are used, they can also save anywhere from $25 to $100 per toilet annually on water and wastewater bills. · Low flow urinals. Urinals are the other big water user in restrooms. Some reports estimate that a conventional urinal in a busy school restroom, for instance, can use up to 40,000 gallons of water in a single year. This means that a school with 500 male students can use up to 750,000 gallons per year just to flush urinals. The older flush type urinals found in many schools use 2.5 gallons or more per flush; newer systems have reduced this to about 1 gallon per flush. · No-water urinals. Many facilities are taking this a step further by retrofitting their restrooms with no-water or waterless urinals. Because no plumbing, flush valves, or related water delivery systems are necessary for these fixtures, installation is quick and easy--which translates into cost savings--and of course, once installed, these systems use no water whatsoever. Many facilities seeking LEED certification have been able to earn several credits just by installing waterless urinal systems.